Hello Neighbor has a great idea for a game. You’re a kid and you believe your neighbor is up to no good. Using stealth and wits, you need to make it through several stages in order to reach the basement of your neighbors house and uncover your neighbors dirty little secrets. If you get caught, your neighbor kicks you out and you have to start over at the beginning of the stage you’re currently in. Unfortunately, it isn’t as fun as it sounds. This title is labeled as a horror game that is rated for everyone aged 10 and up. I suppose if it were actually scary, the rating would be M for mature. Fact of the matter is, it doesn’t even get your heart pounding when you have an encounter that is meant to be somewhat scary. It should be labeled 10 only… If I had my way, it wouldn’t have released at all. Harsh, I know. Sure you can thwart thy neighbor by throwing objects at him and run for your life, but the entire formula seems backwards. In order to complete the game, you basically have to go through the motions of learning his every move. That's what really kills it for me. Because the neighbor appears to always be aware of what you’re doing, he is on you like a fly on poop. I guess it was created this way to make the game seem longer than it actually is. I will say on a positive note, it is fun to play with my kids. Not couch co-op or multiplayer, but having my kids watch and play and we tell each other our ideas on how to progress, makes it worth playing for some family gaming quality time. The problem here is, most of us don’t purchase titles like this to get the family together. We get these titles because we want to play an enjoyable game. I normally family games to play with my family. Seeing my children laugh and smile over this let down of a title is the silver lining. If I was a single guy (or gal) that had high hopes for this game, I would be even more upset over it. As I said, my kids were the best part of this game. I’m sure somewhere out there, someone loves this game. I only wish I had the same view as they do. Otherwise, this game gets a low score and isn’t even worth paying for. I dread the day it becomes a free PS Plus game. I have a feeling, that it where it will end up eventually. 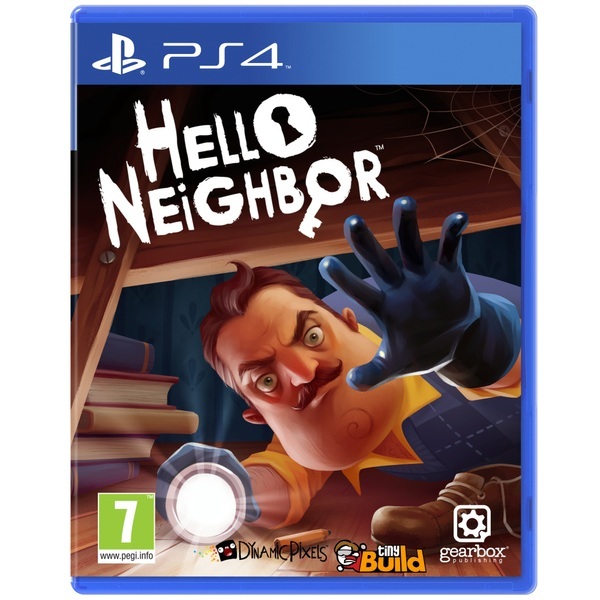 All in all, I’m giving Hello Neighbor a -1 out of a possible 10. The price is a rip off, the game lacks in just about every category of what makes a game fun. If you’re really interested in playing this game, then by all means possible, try and borrow it from a friend or wait until the price drops below $5.00. To each their own, but this is my opinion. Hopefully there will not be a sequel and this game will just disappear from my mind as if it was never made. Let me know your thoughts on the title and maybe help me change my mind? Maybe Your point of view can help me adjust mine. As always, thank you for reading!